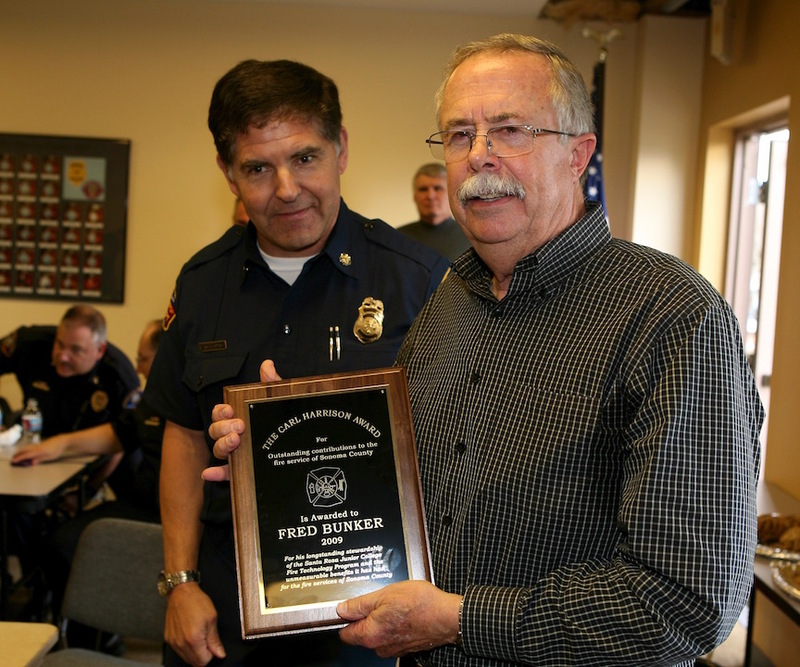 The Story of Sausalito Division Chief Fred Bunker, retired. Santa Rosa JC Fire Technology Director, retired. Biography coming soon. 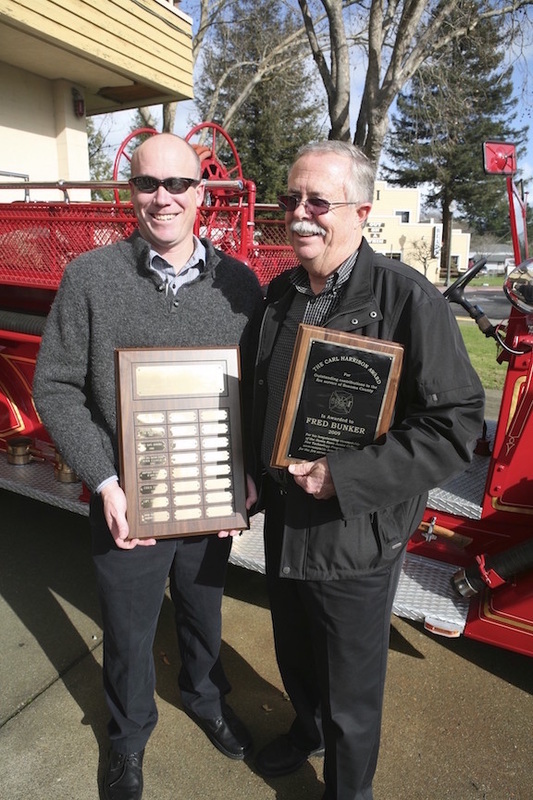 Fred received the Carl Harrison Award from the Sonoma County Fire Chiefs in 2009, pictured with his son.